The author of this article is Dr. Joachim Kayser, partner at Dechert LLP in Frankfurt. The lawyers working at Dechert offer a broad range of legal advice to international investment banks, financial institutions, private equity funds, investors, sponsors, corporations and local authorities. Intalus assists Dechert to classify assets for alternative funds, as well as calculating key performance indicators, such as the SCR. The Grand Central user interface was extended and tailored specifically to support Dechert’s work processes for this purpose. The conditions for investments by German institutional investors have improved significantly, due to: (i) the entry into force (in 2016) of the European Solvency II regime for insurers; and (ii) the upcoming implementation of the German Investment Tax Reform Act (New GITA) with effect from January 1, 2018. As an EU directive, Solvency II generally governs the assets of all insurance companies based in the EU. Under this regime – roughly comparable to the banking regulation of Basel/CRD IV – insurers are principally free to invest in all types of assets, but need to comply with certain risk management provisions and Solvency Capital Requirements (SCR), based upon predetermined risk classifications and specifics of the relevant assets. The vast majority of EU insurers apply a standard model to calculate the SCR, according to parameters set forth in the Solvency II regulations; only a number of (generally larger) insurance companies provide for an internal calculation model, which must first be approved by the competent national regulatory authority. A basic principle of Solvency II regarding funds/collective investment undertakings is the “look-through” approach, whereby a risk analysis of a fund is performed by looking through the fund to its underlying assets. The assets held by the fund are classified and allocated to sub-risk modules (e.g., equity risk, spread risk, interest rate risk, property risk) of the market risk module. Based on this classification, the SCR figures are calculated for each asset. To facilitate this look-through analysis of a fund’s assets, insurance investors generally expect the fund manager to provide for periodic, granular, “Solvency II Reporting” – in fact, this is often a prerequisite for an investment. However, fund managers frequently outsource the Solvency II Reporting to specialized service providers (often, the fund’s administrator, especially in cases of plain vanilla “long-only” securities funds). However, more complex (e.g., illiquid, private debt or derivative) alternative funds often first require “asset classification” of their underlying investments, in order to enable a proper look-through and ongoing reporting afterwards. Dechert has a team of lawyers able to assist with SCR calculations and Solvency II Reporting. The look-through and asset qualification is important for the proper calculation of SCR for alternative funds (e.g., debt funds, private equity, infrastructure, hedge funds), traditional funds (e.g., bond funds, listed equity funds) and exchange-traded funds (ETFs). An asset qualification and subsequent allocation to the relevant sub-risk modules can lead to substantially different SCR figures for different asset categories. Often a proper look-through may lead to significantly lower SCR charges at the investor level (e.g., if a recognised hedging strategy under Solvency II rules is applied or if collateral for a derivative strategy may be taken into account). As an example in the ETF context, the SCR may differ substantially, depending on the method of index replication (physical or synthetic) and the specific assets held. The new Solvency II regime generally allows for a much broader investment universe for EU-based insurance companies than was previously the case. However, in order to take advantage of the enhanced distribution opportunities, asset managers need to be able to deliver proper look-through asset classification as well as ongoing Solvency II reporting services. The current (punitive) lump-sum taxation for German investors in non-tax transparent funds will be abolished. There generally will no longer be a requirement that investment funds subject to the New GITA file an annual German tax return. Specific partial tax exemptions will be afforded to German taxable investors in investment funds that qualify as so-called Aktienfonds (equity funds); Mischfonds (mixed funds) and Immobilienfonds (real estate funds). These types of funds are described in more detail below. The New GITA applies to all Investmentfonds (investment funds). In general, these funds may be organized in either corporate form (e.g., Irish PLC or ICAV, Luxembourg S.A.) or contractual form (e.g., Luxembourg FCP, Irish unit trust). However, partnership structures cannot qualify as Investmentfonds and will continue to fall under the ordinary income taxation rules. An Aktienfonds is an investment fund that, according to its contractual terms (Anlagebedingungen), on an ongoing basis invests at least 51% of its value in Kapitalbeteiligungen (generally, equity participations in corporations that are either: listed; or subject to certain minimum taxation of earnings in the country where domiciled). A Mischfonds is an investment fund that, according to its contractual terms, on an ongoing basis invests at least 25% of its value in Kapitalbeteiligungen.An Immobilienfonds is an investment fund that, according to its contractual terms, invests at least 51% of its value in real estate and qualifying real estate companies (Immobiliengesellschaften). It is important to note that, based on a draft circular of the German Ministry of Finance (BMF), it is possible to set forth, in a legally binding side letter, the investment quota required to qualify as one of the types of funds described above. Investment funds are generally treated as non-transparent corporations, which are subject to a reduced flat rate tax on specific German-sourced income (primarily German dividends and German real estate income). 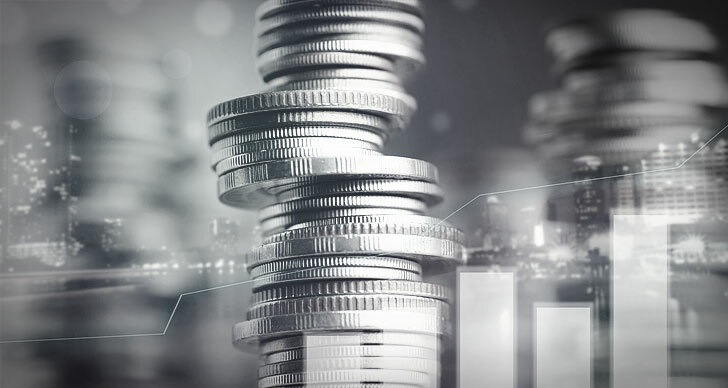 For German taxable investors, distributions received from the fund, as well as gains resulting from the redemption/disposal of fund units, are subject to tax. The former punitive taxation for income received from non-transparent funds is abolished. With respect to accumulated income, a certain minimum amount (so-called Vorabpauschale), calculated according to a specific formula is, on an annual basis, subject to tax at the investor level. However, this minimum tax applies only if a fund`s distributions in the relevant year are lower than the amount of the Vorabpauschale calculated. A key benefit for German taxable investors is that the New GITA will introduce significant additional reductions of the investor`s tax base in Aktienfonds, Mischfonds and Immobilienfonds, depending on the fund category and type of investor. Managers have greatly increased chances to attract investments of German – and generally EU – insurers, if they can offer a “Solvency II solution” – including a proper asset classification and granular Solvency II Reporting, a competitive SCR, and an attractive economic yield for the relevant asset class. From an investment tax perspective, we anticipate that it will be much easier for foreign fund managers to approach German investors, as the new regime: will not impose a punitive lump-sum taxation on non-transparent funds; will implement a simplified tax system for investment funds (without the necessity to file a German tax return); and will create beneficial tax treatment for certain types of funds.